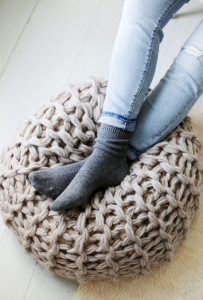 From lush layers and textured fabrics to oversized cable-knit throws…here are some of our favouite design ideas to create a winter ‘retreat’ right in your own home. 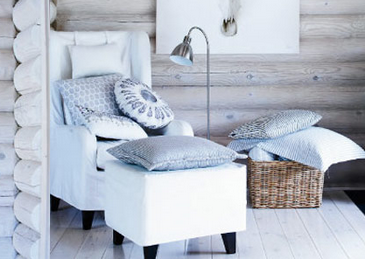 Add visual warmth through colour: in your artwork, accessories, furniture and decorative cushions. 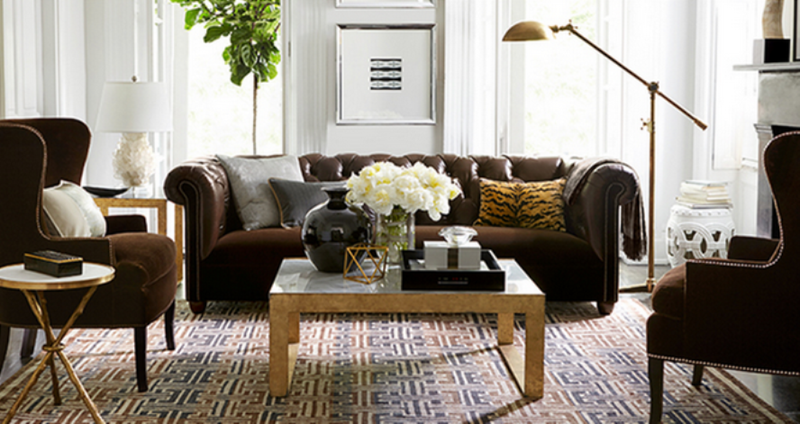 This living room just makes you feel warm and ‘at home.’ In addition to the warm colour tones, notice the layering of accessories and addition of textures in the woven rug, luxurious throw, plush fabrics, outdoor branches…all these elements add up to a cozy cocoon. 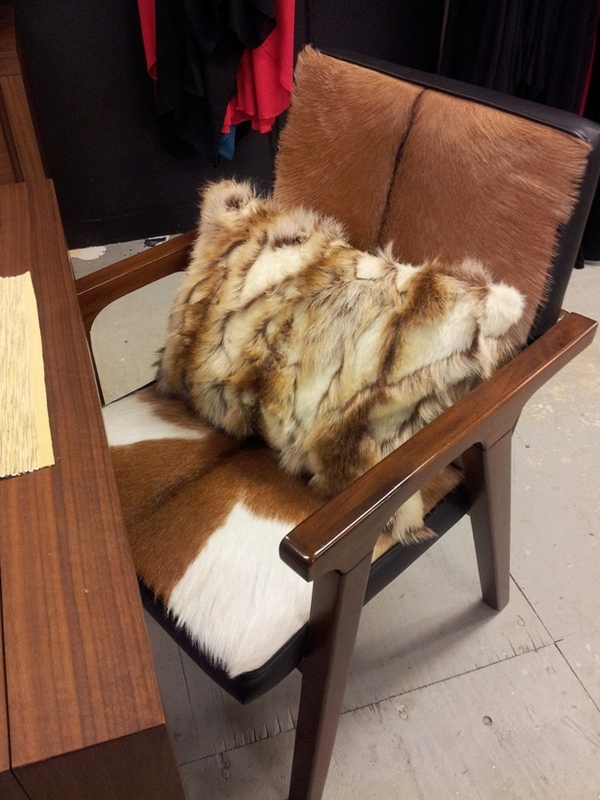 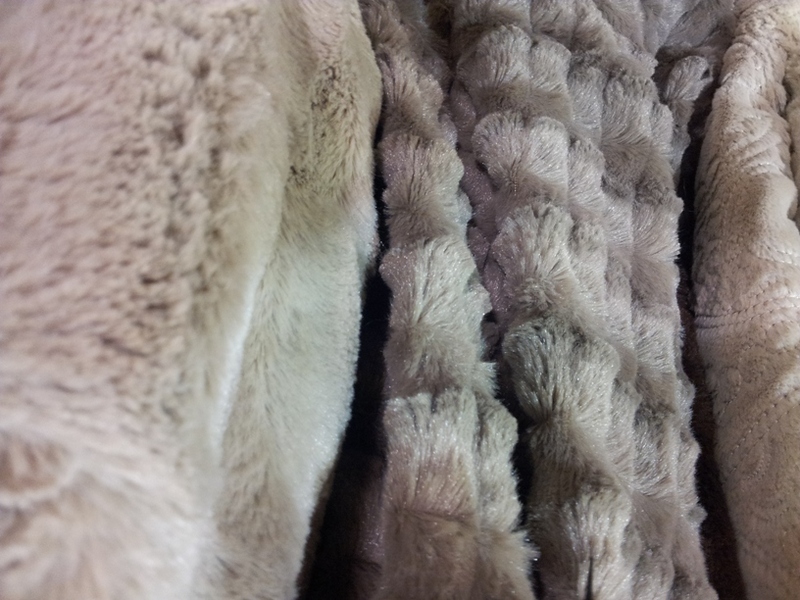 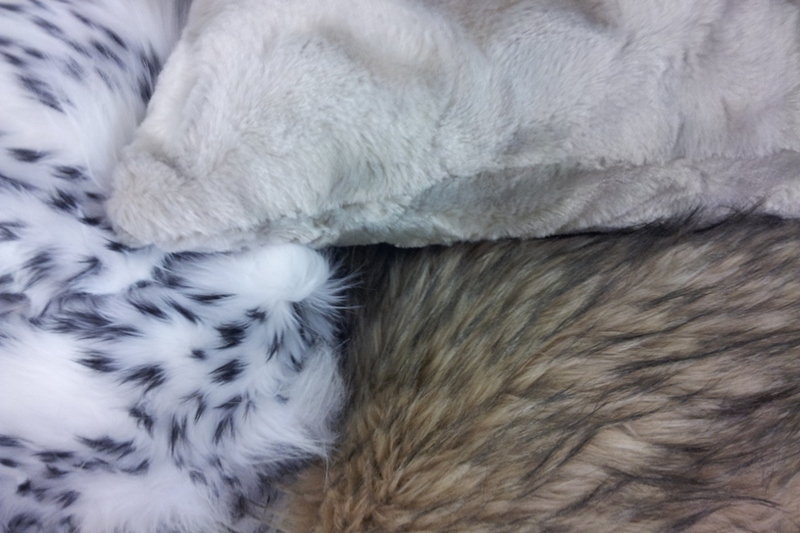 We love faux fur EVERYTHING – especially in these colder winter months. Throws and cushions not only function to keep your toes warm and seat comfortable, but provide visual warmth to the space and create a luxury feel. 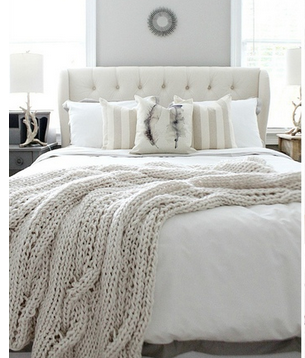 We love this Winter White bedroom – the oversized cable-knit throw is perfect for cooler nights and adds much needed texture to a monochromatic decor scheme. 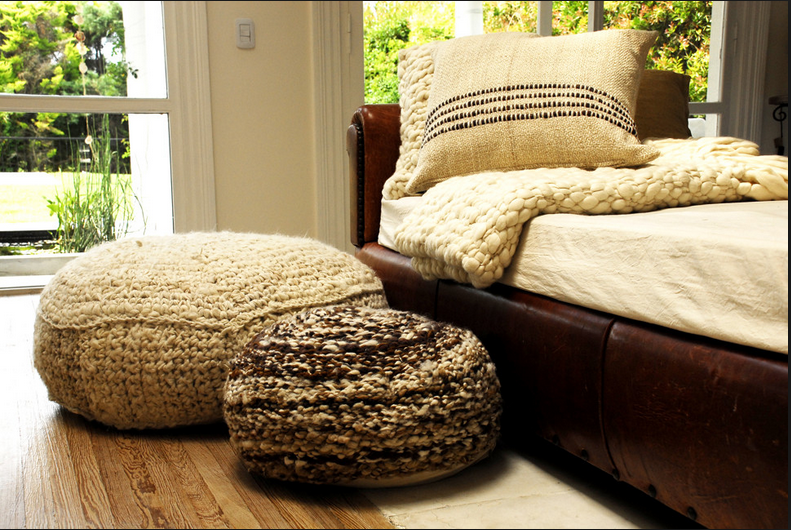 Add a soft knit pouff for easy reclining while reading your favourite book and sipping a hot chocolate. Stay warm and cozy this Winter Season!